Today I built my simplified pipe. 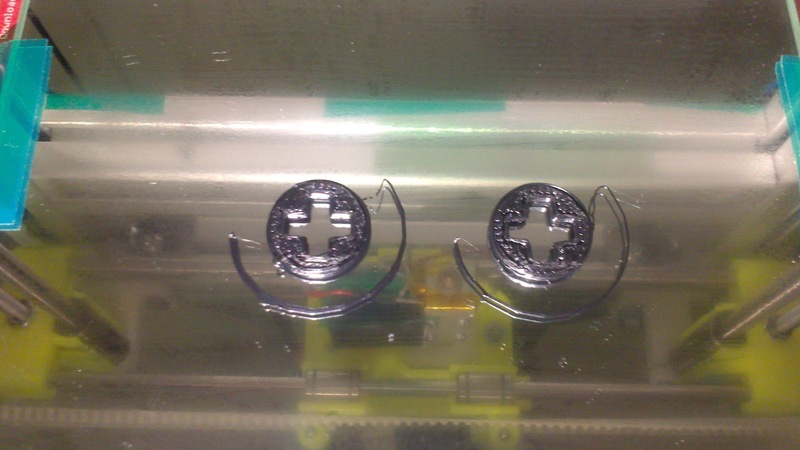 Here the nozzle hole is drilled. 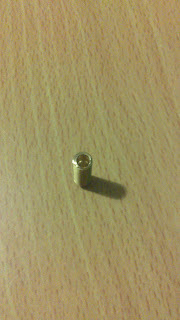 The drill is a 0.5 mm PCB drill. 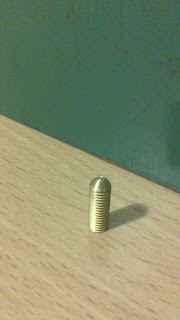 As I found out they are well suited for drilling those holes into brass, since they are a little bit flexible. 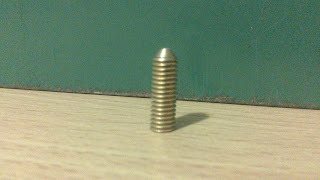 I use my ordinary drill press for it. 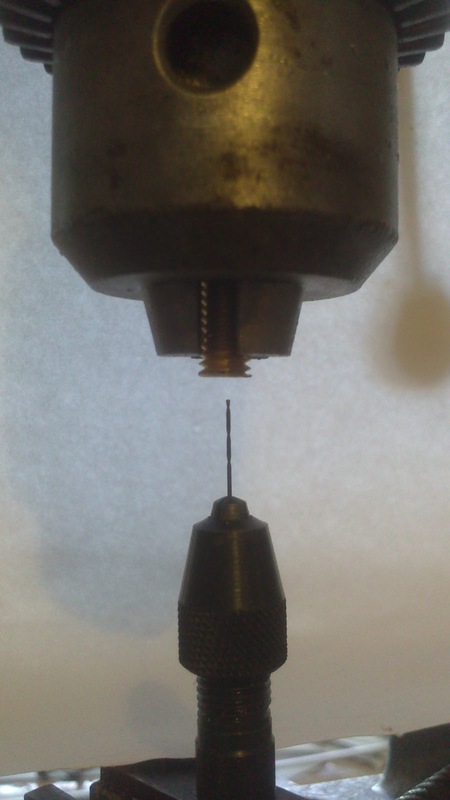 The threaded rod is clamped into the chuck of the drill press, while the drill is hold by a little chuck from the watchmakers (look at my sources). 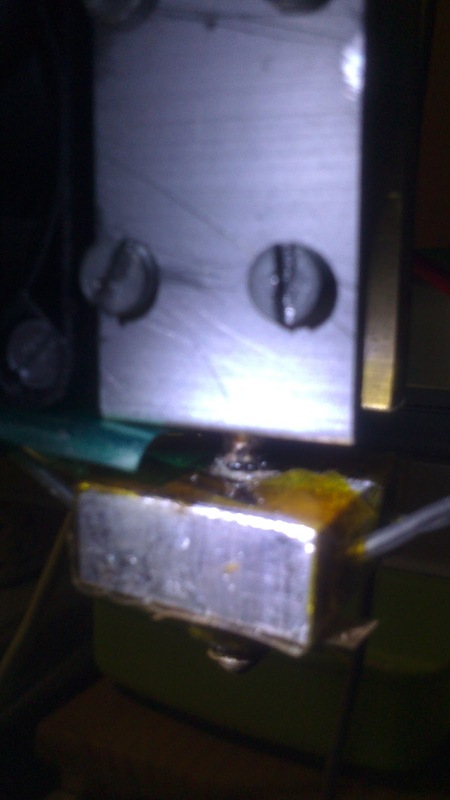 The small chuck itself is clamped into a drill press vice. It is important that the drill press vice isn't fixated on the drill press table. 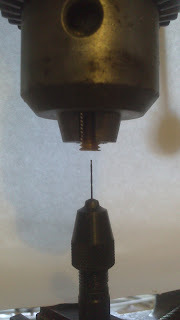 The drill automatically finds the center of the rod this way. I drill at 600 rpm. The nozzle part is ready now. 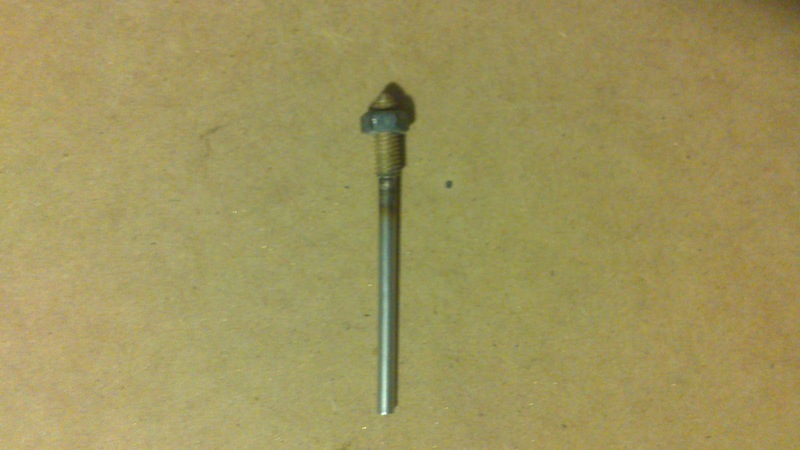 Even the chamfer was made on the drill press by holding a file against the rod. This is the other side of the nozzle part. The whole procedure took approx. half an hour. The soldered pipe. 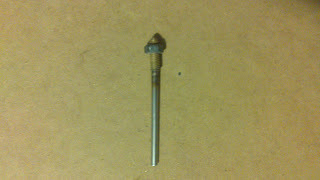 A M6 nut is soldered onto the thread, so it is easier to screw the pipe in and out of the heater block. ABS comes out of the pipe some minutes later. It works! Two shopping coins. Still uncalibrated. Not bad for the beginning. The right one was printed at first. Both 36 mm/s @ 240°C. I should have known better. A little bit of ABS is leaking out above the heater block. Every time when I solder only once it seems to get leaking. If I solder twice, it gets sealed. In summary. I am quite satisfied with the results. 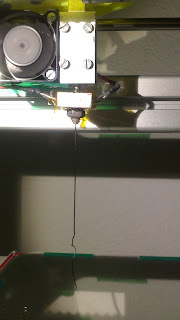 The organ pipe hotend performs very well. I guess I will stick with it.